Do you know how hard I have worked to avoid going to Texas? The bros are back in town. 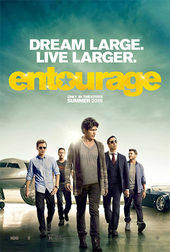 Vince, E, Drama, Turtle, and Ari return – boorish and brash as ever – for Entourage, the inevitable big screen follow-up to the popular HBO series about a crew of knuckleheads chasing the Hollywood dream. Will he or won’t he make the movie? After eight seasons and a four-year hiatus, the frat boy antics of Vince and company cannot help but feel a little tired at this point. 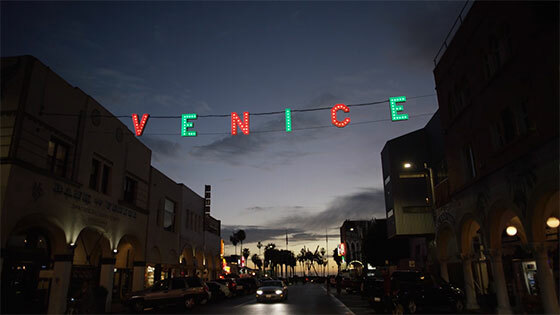 Thankfully, the hard-partying, foul-mouthed melodrama and attempted filmmaking take a backseat to the city of Los Angeles in the title sequence. Despite all those names in lights, LA is the real star of the show here. The sequence, produced by Greenhaus GFX, acts as a supersized version of the original series main titles, expanding the scale and scope of the story, trading the darkened streets and bright lights of Hollywood for a citywide tour of some of LA’s most recognizable landmarks and iconic signage. 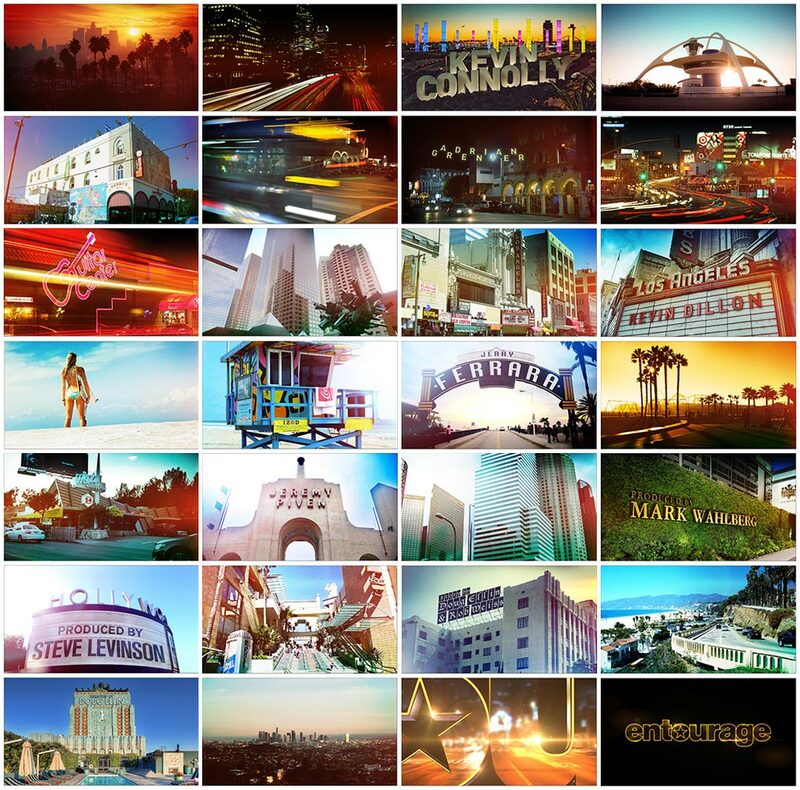 Ride along with the top down, cruise from Venice to the Hollywood Hills, from the Sunset Strip to LAX and beyond. The lives of Vince and his entourage may not be everyone’s dream but it’s impossible to deny the allure of La-La-Land. A discussion with Greenhaus GFX Executive Creative Director HELEN GREENE and Creative Director JASON DOHERTY. Could you give us some background on Greenhaus GFX and yourselves? Helen: After leaving Create Advertising, I decided to launch my own motion graphics company and make it 100% female-owned. No partners, no investors, just something I endeavored to do on my own – essentially my lifetime dream. It started out small with a few artists and myself, also designing. As we grew the motion graphics group working on trailer and TV graphics, our creative advertising main title designs were being noticed by filmmakers, and some also became the feature main title, like RoboCop, Need for Speed, and Guardians of the Galaxy. We've been successful in bringing a number of title sequences to the big screen – Fury, Teenage Mutant Ninja Turtles, Insidious: Chapter 3, as well as Entourage. Simultaneously, we built a visual effects group to handle Marvel's Agents of S.H.I.E.L.D. and some HBO shows. As I look back, it's six years later and we have twenty-plus artists working across three disciplines – motion graphics, main title design, and VFX. Jason: I joined Helen in the fall of 2010 after working with her a few years earlier while she lead up the graphics division at Create Advertising. We found commonality on many creative levels but also in that we were both raised in Wisconsin – and we nearly crossed paths attending Minneapolis College of Art and Design. [My] success is accredited to not only Helen, but supportive parents, teachers and close friends guiding me along the way. I've been fortunate enough to learn from several industry giants, including Chris Do at Blind, Kyle Cooper at Prologue, and Garson Yu at yU+co. 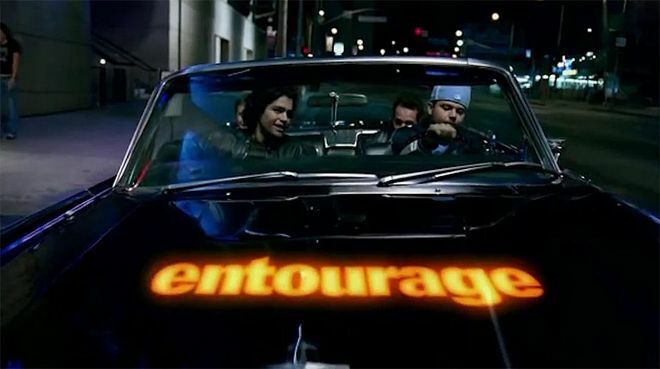 How did the studio become involved in the Entourage movie? Helen: Like any main title design house, we fought our way into the Entourage pitch because we were huge fans of the HBO TV series. We knew the brand, the characters and stories well over eight seasons and pitched our hearts out to advance in the pitch stages. What was the brief and what challenges did it pose? Helen: It was time to bring back one of HBO’s most beloved comedy-drama television series and evolve it for the big screen. The creative challenge was to make the show, the five main characters and their satirical Hollywood lifestyles relevant once again after a four-year hiatus. We thought it was important to go back to the original brand, the music, the roots for the eighth season show title opening: cruising on the Sunset Strip and seeing credits on storefront signage. 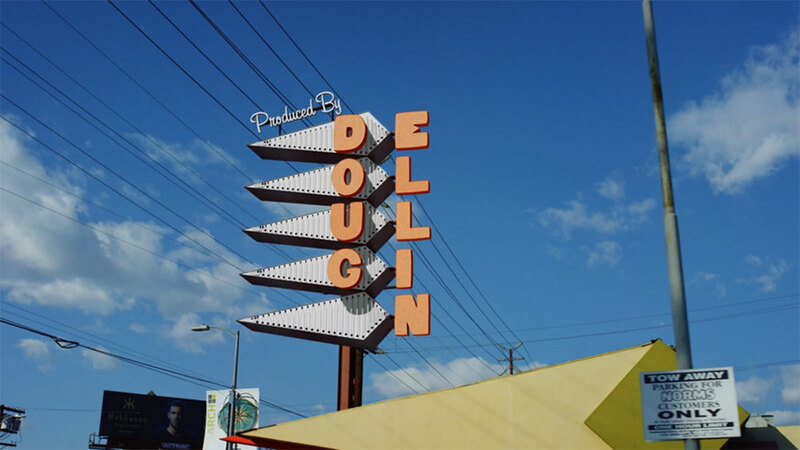 But to be exciting – and feature film-worthy – we had to go big, use a broader range of LA’s iconographic signage, locations, establishments, and landmarks to present nearly thirty credits. What were the next steps? How did you pick the various signs and landmarks? Helen: Once we secured approval on concept and creative direction, we knew we had to make this title sequence bigger than the one created over ten years ago for the HBO series. 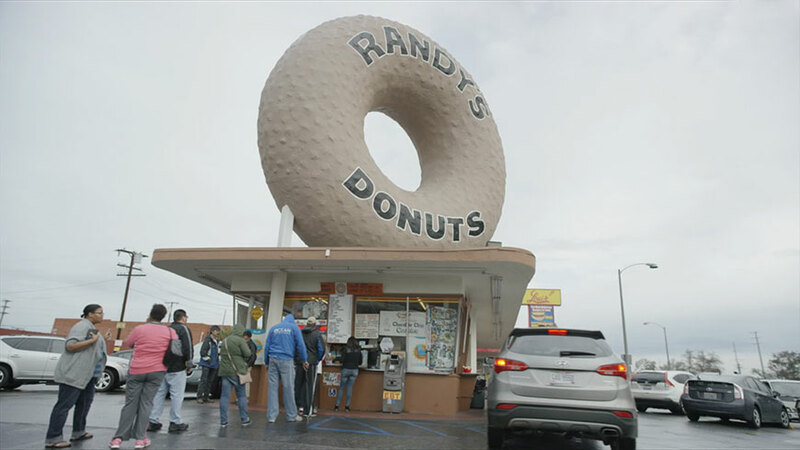 LA had changed so much during the last few years, so we had to further embrace the overall LA geographical experience and all its landmarks from the Pacific Ocean to DTLA and everywhere applicable in between. Venture off Sunset Blvd. and evolve the scope of the title sequence in conjunction with the breadth and depth of the feature. Jason: More importantly, we wanted to travel beyond the Sunset Strip for the approval process, to placate the filmmakers and actors in the credit sequence by location, by size, and by affinity to the signage. So let’s talk about the shoot: I suspect there was a lot of driving involved. Jason: There were three primary shooting days for the 4K principal footage – shot over the course of Super Bowl weekend – in an effort to limit pedestrians and traffic. Countless hours went into the carefully planned 5K timelapse photography. We then slid in a couple days of B-roll to round out the edit. Every moment was handled individually. The first day of shooting happened to be one of LA's rare rain days. Fortunately it wasn't constant, but it wasn't ideal for driving all over LA in a 1969 Ford Galaxie 500 convertible. Following the afternoon downpour, the sunset in Venice – showcasing Adrian Grenier's name – was absolutely gorgeous. Helen: It was wonderful working so closely with my favorite DP, Philipp Friesenbichler. His Red Epic Dragon Camera and Ultra Prime lenses captured 6K footage at 48 frames per second and gave us so much freedom in post. Jason: I'm also very happy with how well we were able to bookend the sequence with timelapse photography of the downtown LA skyline, shot by Andrew Persing. What tools and software did you use to put all this together? Jason: Signs and scenes were partially built in both Maya and Cinema 4D. After Effects was used to handle the majority of tracking and compositing, but NUKE, SynthEyes, and PFTrack all came into play – depending on the artists' needs and expertise. What are some of your personal favorite title sequences, either classic or contemporary? Helen: David Fincher's Se7en and The Girl with the Dragon Tattoo inspire and drive my creative passion. Jason: I love what Gareth Smith and Jenny Lee did for Thank You For Smoking – there is a similar underlying visual concept. They replaced typography and logos on cigarette packaging with credits – we replaced storefront signage with credits. Ben Conrad's Zombieland, although gruesome, blew me away with its nicely composed situational type interacting with epic, slow-motion footage. What advice do you have for people looking to get into the motion design or visual effects industries? Helen: Do it for the love of art and making a statement. Jason: In life, you often get out what you put in. But, it's not only about putting in a lot of time and effort, it's also about being a good person and sharing your resources, ideas, and techniques. There's always someone who's going to be smarter, faster, and more talented than you. Find out who they are and learn from them. Closest to the Hole Productions, Entourage Holdings, Home Box Office, Leverage Entertainment, RatPac Entertainment, Warner Bros.